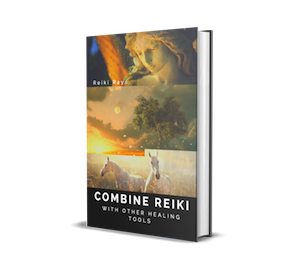 There is a multitude of ways in which Reiki opens us up to the Spirit World. Connecting with the spirit world is a real possibility for everyone who is willing to do their inner work. It is not an extraordinary feat or a magical power, but a soulful connection with that plane of existence which is our home on the higher levels of consciousness. When we are primarily tuned in to the denser version of reality, connecting with the spirit world seems like a distant possibility to some and a new age fantasy to others. However, when we are tuned in to the world of energy, connecting with the spirit world becomes reality. The spirit world is a divine reality that is rooted in love, peace, compassion and truth. In this time of accelerated healing on Earth, connecting with the spirit world is something that many healers aspire to do. This connection can help bring wisdom and guidance to each of us. The Spirit world comprises all forms of energy that resonate at a higher level of consciousness. Some of the well known beings of the Spirit world are the Ascended Masters, Reiki Guides, Spirit Guides, Angels and Archangels. The third eye is the human portal to the world of spirit. When we have an open third eye, we open ourselves up to several extra sensory abilities that lie latent in us. One of these abilities is the ability to channel. Channelling can be likened to a process of spiritual download. It is the process of receiving or downloading information and guidance from the higher realms. Channelling is usually not something that one can learn to do in the conventional sense. It is most often an ability that unfolds spontaneously. Many people harbour a fear of channelling because they believe that so called negative forces would channel through them. While we cannot dispute such occurrences, it is also futile to live in fear of dark forces. We don’t have to entertain dark forces if we decide not to. It’s as simple as that. The power of the light is much greater than any dark energy. The darkness is also light, but in a garbled form. Or we may choose to refer to darkness as the absence of light. When we are tuned into truth and light, we need not fear dark energy. As lightworkers, we must keep our focus on the power of the light and not on fear of the darkness. As a Reiki healer, you may find that the ability to channel surfaces in you one day (if you are not doing so already). This is not part of the path for everyone of course. But just in case you find yourself opening up to it, rest assured that this is a gift from Source. Embrace this ability. Open yourself up to it fully. If you find yourself suppressing it in fear of the darkness, work on your fears. Call upon Archangel Michael and request his help to heal your fears. 1. True channelling feels effortless. When we are tuned into the light one hundred percent, channelling feels effortless. All we need to do is tune in and allow the words to flow out of our mouth or on paper. If we try to control the process, we get stuck in ego mode and then the efficacy of the process comes down. If we attempt to control it, we cannot also be sure of the validity of the information we receive. The highest and purest level of information is received only when we let go and just allow the process to unfold. 2. Being in a high vibrational state helps. This would include making sure we are in a calm and peaceful frame of mind. It would help to invoke the Reiki Master symbol prior to beginning. It would also help to invoke golden light and envelop ourselves in golden light before we begin. This lifts our vibration to a higher level and keeps us in a powerful cocoon while we channel. 3. Channelling often brings information and insights that may have never occurred to us previously. And when such information is received, it feels like an aha moment! There are moments when I’ve said to myself, “Whoa, I never thought of this before?” Channelling also brings pieces of wisdom that can dissolve our cares in a jiffy. Cares and concerns melt away, bringing in a higher perspective to all kinds of situations. Channelling is something I have grown to enjoy. If this is part of your journey, I trust that it will bring you many blessings and light up your divine path. Sending you love and light! Hi Ananya…,after long time we got an inspirational article from you.Thank you for sharing. Nice piece but is there a way one can easily attuned to this channel since we are in the golden age of learning.